When it comes to rivers in Europe, the Danube is certainly unique, which is why we’re giving it our own special treatment at Freewheel Holidays. Until the 31st August 2018, you can take £50 per person OFF the prices shown on our Passau to Vienna and Vienna to Budapest cycling holidays arriving in September or October 2018. We’re also offering £50 per person off any remaining cabins on our bike and barge River Danube sailings. So, there’s never been a better time to cycle along this world-famous river. What is so special about cycling the Danube? The River Danube has played an important part in the history of Europe for centuries, none more so than for it’s vital role in the settlement and political evolution of the continent. Lined with castles and fortresses, the banks of the River Danube formed boundaries between great empires and its waters served as the commercial highway between nations. Talking of that, the Danube continues to have huge economic importance to the 10 different countries that border it. Namely, Germany, Austria, Slovakia, Bulgaria, Hungary, Croatia, Serbia, Romania, Moldova and Ukraine. The majority of these countries use the Danube for activities such as fishing, the generation of hydroelectricity and more predominantly freight transport. However, the Danube is more than just freight ships and boats, the beauty of the place is what makes this famous river so special and a hot spot for tourists looking for a Danube tour. Rising in the Black Forest mountains of western Germany, it flows for a staggering 1,770 miles to its mouth on the Black Sea. Passing through majestic cites like Budapest with its chain bridge and Vienna with its array of baroque palaces. 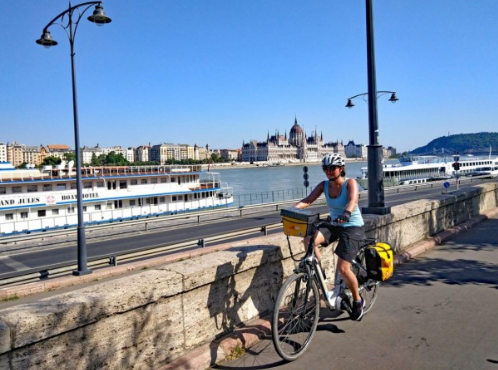 Why should I book a Danube river cycling holiday? 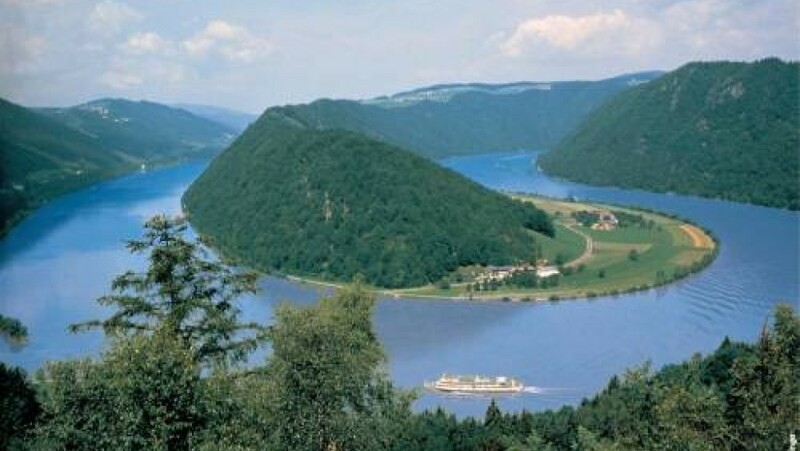 Danube river bike tours are simply spectacular. There is no better way to take in all the sights and sounds of this magnificent part of Europe than by the saddle of your bike. Just picture the experience. The sun is glistening off the water as it laps up against the banks, the breeze is floating on by and you are pedalling your way to another of the continents most beautiful cities. If you want to see some of the best European cities on your Danube tour, then this is the Vienna to Budapest cycling holiday for you. Not only will you explore lowland forests, original villages and magical cities, you’ll also pass through the fantastic cities of Vienna, Bratislava and Budapest. In Carnuntum, and in the Roman castle Kelemantia, you find Roman relics from the past, as well as passing through the Rye Island that is a real natural paradise. Don’t forget the numerous castles and palaces, which sit proudly on the banks of the Danube. There is even charming small towns to discover along the bike trail with historic centres inviting visitors to discover and enjoy. Overall this bike tour will inspire everybody! Explore the paths along the Danube River just like the Romans, the legendary Nibelungs, and even Europe’s powerful kings and emperors did before by cycling the Danube from Passau to Vienna. You will get to know the beauty and historical significance of this ancient military and trading route. 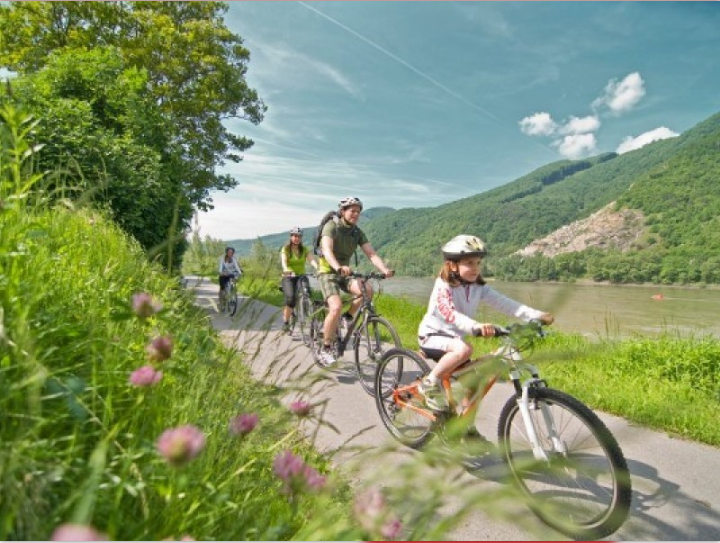 Never far away from the cool, clear water of the Danube, you will enjoy one of Europe’s most beautiful and popular cycle routes. You can either start your trip in the town of Schärding or Passau, the town of three rivers. Before travelling through various districts of Upper and Lower Austria before finally coming to an end in the Danube metropolis of Vienna. If being beside the water makes you want to sail on down it, then we’ve got something to cover that urge as well. Not only do we have straightforward Danube river bike tours which sees you riding down dedicated cycle routes beside the water, but we also offer our very unique bike and barge tours. These let you combine the best of both worlds with the focus very much on a leisurely way to travel. Let the boat get you from place to place, and then have the choice of hopping off and going for a ride on the bike. We offer several Danube river bike and barge tours including our Passau to Budapest cycling holidays and the Passau to Bratislava bike tour. Just check out our dedicated bike and barge page for our full range. Then give our cycling experts Steven and Simon a call to discuss all the finer details about booking your Danube river cycling holiday today.